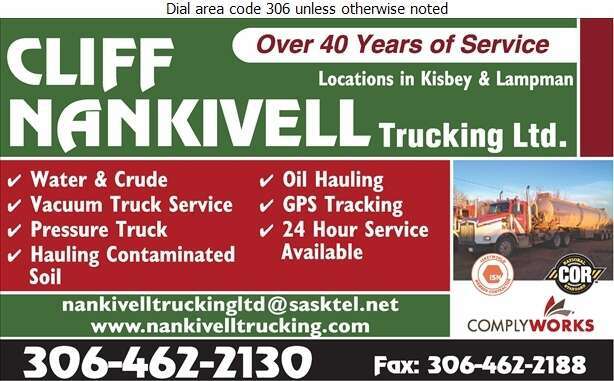 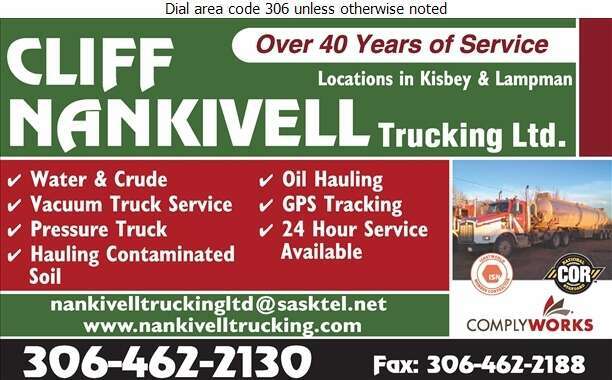 Serving southeastern Saskatchewan for 40 years, Cliff Nankivell Trucking is a locally owned business serving the oilfield industry through locations in Kisbey and Lampman. 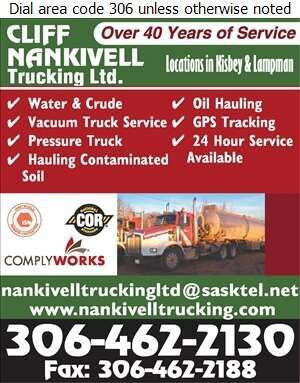 Our services include water and crude oil hauling, vacuum and pressure truck services and the hauling of contaminated soil. We are staffed with experienced, professional drivers who can provide the reliable, prompt service you need, 24 hours a day.